India is renowned for having distinctive religious practices that coexist with one another. The numerous shrines and monuments allow one to contemplate the importance of faith for many. One of the well-known and frequented sacred places is the Manikarnika Ghat in Varanasi. Manikarnika Ghat is also one of the oldest and most sacred Ghats for Hindu religion and mythology. It is said that cremation at this site ensures that one’s soul rests in perpetual peace upon their earthly demise. For centuries, a funerary rite at Manikarnika Ghat has been thought to provide one with immediate liberation from the endless cycle of rebirth. The riverfront steps that lead one to the banks of the river Ganges is a sight to see, for there are approximately eighty-seven Ghats in the city of Varanasi alone. The majority of these were constructed following 1700 AD when the city was part of the Maratha Empire. Whilst the majority of the Ghats were built for bathing and some were created for ceremonies, only a few, like Manikarnika Ghat, are principally reserved for cremation as a form of funerary rite. Manikarnika Ghat is associated with the Hindu Deities Lord Vishnu and Lord Shiva. According to some Hindu tales, Lord Vishnu dug a pit by using his Chakra whilst Lord Shiva observed him. An earring (Manikarnika) fell inside the pit unnoticed while both were preoccupied. Another account claims that Mata Sati sacrificed herself by setting her body on fire after one of the sons of Lord Brahma, Raja Daksh Prajapati, attempted to humiliate Lord Shiva in a Yagya (a ritual in which offerings are made into a consecrated fire). Subsequently, Lord Shiva took Mata Sati’s body toward the Himalaya. During this journey her body began to fall onto the earth. Shakti Peeth (a place of worship to the goddess Sati/Shakti) was then established in each place her body parts had fallen. In this story, Mata Sati’s earring fell down at Manikarnika Ghat. In a third tale of Manikarnika Ghat’s origin, Lord Vishnu struggled to please Lord Shiva for centuries and pleaded with him to reconsider the destruction of Kashi (a holy city). 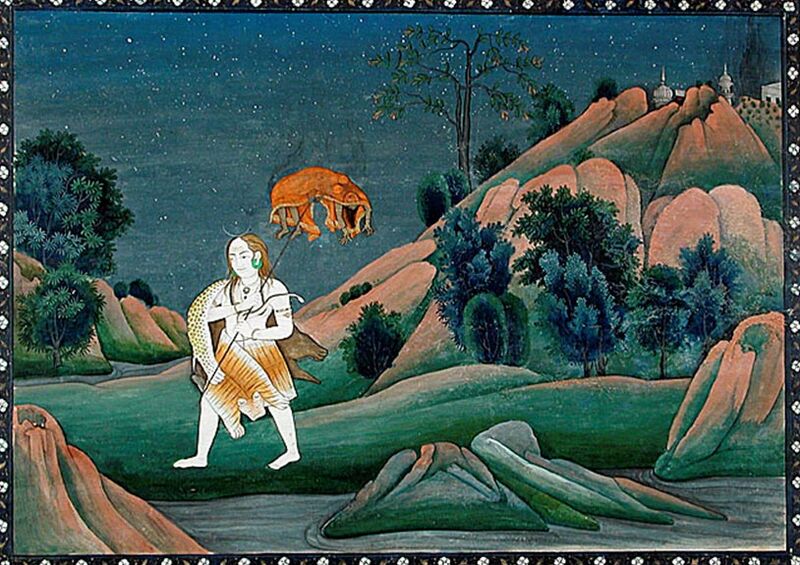 Lord Shiva arrived in Kashi with his consort Parvati, to grant Vishnu’s wish. On the banks of the Ganges he dug a well for bathing and it was during his bath that a precious ear ornament fell into the well - consequently providing the name for the location. Finally, a playful myth involves Lord Shiva falling down after frolicking in an aggressive manner, and as he tumbled the earring fell on the earth and the Ghat of Manikarnika formed. The Manikarnika Ghat is epitomized by the juxtaposition of the sacred well of Manikarnika Kund, ploughed by Lord Vishnu during the time of creation and destruction. The Ghat is also famous for its temple dedicated to Shiva and Mata Durga, built around 1850 AD by the Maharaja of Awadh. The funerary sanctuary is one of the key places for the Shaktism sect of Hinduism and the temple is a holy shrine for devotees, providing visits to the site on a daily basis. It is here that the pond Chakra-Pushkarini Kund, also known as Manikarnika Kund, can be found as well. Devotees believe that the Charanapaduka (footprints) of Lord Vishnu are in a round marble slab, for the deity is said to have mediated for many years at the Ghat. The burning of one’s body upon their demise is fundamental in Hinduism, for the soul is purified and freed from the body. The cremation process is crucial in achieving nirvana, and the ritual’s many stages must be completed correctly or the soul will not transition to the afterlife. Handled mostly by the Doms (a Bengali Hindu caste), bodies are brought shrouded in cloths and put on bamboo stretchers in preparation for the cremation ritual. The human remains are then consigned to the flames – with the hot ashes of the bodies acting as a reminder of the predestined destruction of everything within the world. It is believed that Moksha then occurs. Attaining Moksha ensures salvation and a direct interaction with Lord Shiva. Traditionally, children under the age of two and men considered holy and can be buried under the soil as their bodies are considered uncorrupted and sinless and therefore, they have no need to be purified by fire. Specific buildings at Manikarnika Ghat are reserved for people waiting for their demise. Here they await their final breath to die righteously on the banks of the Ganges. Bodies are bathed in the river Ganges and laid for up to two hours on the steps, during which time the body is left alone and dried. Thereafter the body is placed upon piles of wood over a cremation pit which were previously chosen by family members. Bodies are purposely positioned in particular directions to ease the otherworldly transition. Feet are pointed towards the south in the direction of the god of death, Yama, and the head is placed north, towards the god of wealth. 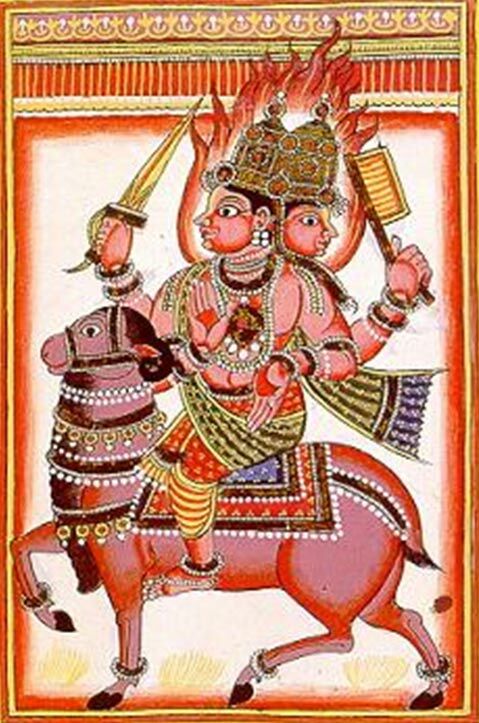 The principal griever sets the pyre on fire and thereafter the body becomes a direct offering to god of fire, Agni. When the body is fully burned, the fire is extinguished with water from the river Ganges and then the ashes of the individual are finally thrown into the river. Curiously, Manikarnika Ghat is known for its vibrant atmosphere. Death is not taken unconscientiously but it is perceived with a distinctive approach here. It isn’t one of sadness but of a ‘shedding of the skin’ that is no longer necessary. This funerary site is thus renowned paradoxically for its vitality - where people commemorate both the living and the deceased. Families play games together, they move in and out between the vast quantities of wood collected for the cremation of bodies, animals roam during burial gatherings and ceremonies, and it has become a center for tourists in recent decades as well. 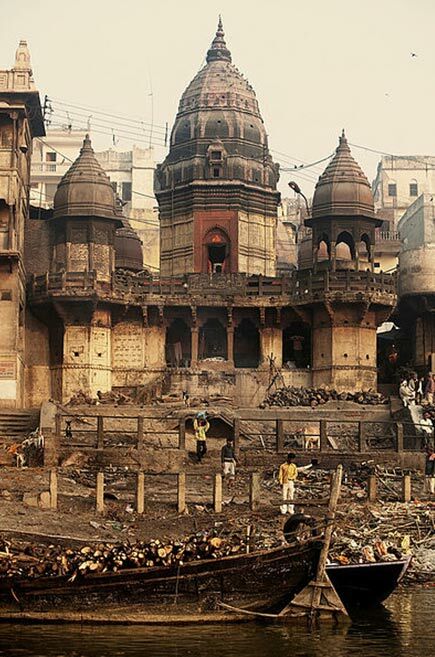 Manikarnika Ghat truly is a special place for Hindu funerary rites. Max Muller (2004). The Upanishads, Vol I. Kessinger Publishing, LLC. Muller, M. (2004). 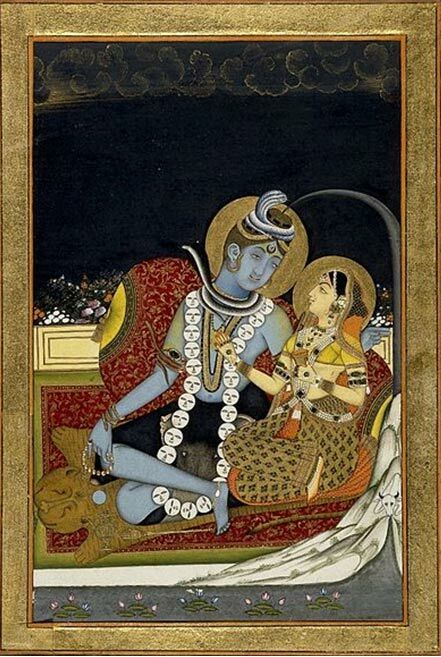 The Upanishads Part II: The Sacred Books of the East Part Fifteen. Kessinger Publishing, LLC. Eck, Diana L. (1982) Banaras, City of Light. Knopf, New York.